Centralia, WA. 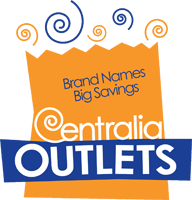 – July 17, 2014 – Centralia Outlets announces Kay Jewelers Outlet to open in September 2014, with the official Grand Opening date to be released soon. The store will be located at 1344 Lum Road, next to Gymboree Outlet and near Polo Ralph Lauren Factory Store and Eddie Bauer Outlet. Kay Jewelers Outlet is a division of Kay Jewelers, the number one jewelry store in America. Kay Jewelers Outlet will offer customers extraordinary service along with tremendous savings. Customers will find up to 50 percent off regular priced jewelry everyday on some of the most sought after jewelry brand names, including the Leo Diamond, the exquisite Le Vian Chocolate Diamonds, Neil Lane Bridal and Open Hearts by Jane Seymour. The discerning shopper will be delighted to discover retired designer styles that deliver huge value, special purchases and amazing selection. A visit to Kay Jewelers Outlet will be the perfect place to find your next cherished piece of jewelry for yourself or another special person. Kay Jewelers Outlet will join over 30 famous outlet tenants at the Centralia Outlets, including major brands Polo Ralph Lauren Factory Store, Coach Factory, Nike Clearance Store, Gap Factory, Under Armour and Chico’s, just to mention a few.